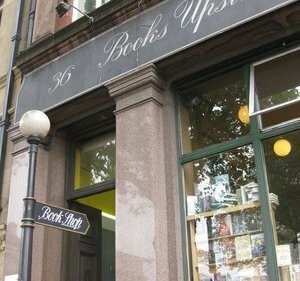 Cristina said: "Books Upstairs began life in the mid-Seventies on South King Street, right beside what was then the trendiest location in Dublin, the Dandelion Market on St Stephen’s Green (U2 had some of their earliest concerts there). When the Market closed down to make room for the Stephen’s Green Shopping Centre, the bookshop moved first to Market Arcade, and then, by the early Nineties, to the present, very convenient location on College Green, a stone’s throw from the gates of Trinity College and Grafton Street, the main shopping artery on the south side. The shop itself is not large, but the type and quality of books it stores makes it the most interesting in Dublin. Here you’ll come across works rarely if ever found elsewhere in the city; literary criticism, women’s studies and gay issues are its strongest points, but let’s not forget its fiction, psychology, politics and Irish shelves, where you can discover real treasures. 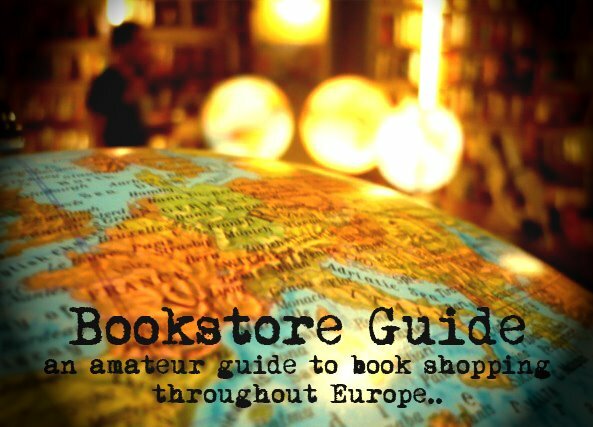 They also sell literary and political magazines, and – another plus point – they will ship your books anywhere in the world." Often described as a bookshop where one could spend a seriously dangerous amount of time, Books Upstairs has, as we've found out from all the positive reviews online, managed to justify this claim. Its location (exactly opposite the entrance to Trinity College) is a perfect position for the young, developing minds of knowledge-craving students, who often frequent Books Upstairs. However, the little bookshop also often seems unnoticed, which comes as a surprise since many who ventured into it, found it very difficult to leave, always praising its somewhat alternative choice of books, the staff and the overall atmosphere. But perhaps, it is Books Upstairs' own "fault" as they are known for keeping a low profile when compared to their adversaries. The narrow, somewhat even claustrophobic premises are stacked with books, but only few copies of one title are to be found on their shelves. The bookstore is divided in several levels and is equipped with a wooden staircase making it more interesting to browse. 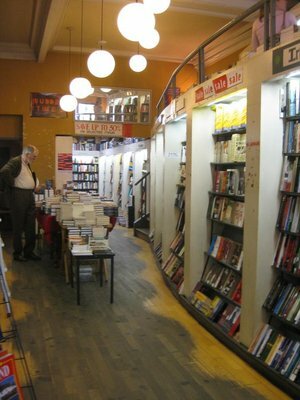 The stock is what sets Books Upstairs apart from other bookshops in the city, sections which are among the most praised ones include Irish literature, drama, women's studies, social sciences and others. Books Upstairs has been around for over thirty years, thanks to its owner's, Maurice Earls's perseverance and endurance throughout sometimes difficult times for the shop, but as well to the more-than-often praised staff. This bookstore has indeed established a firm foundation onto which it has been building reputation ever since. Many famous Dubliners can be seen wandering about the store. One day I was in this shop browsing a book, when the person on duty told me the store was closing. In the heat of the moment I bought the book I was browsing, although it cost 70 euro. But when I got home I looked it up on Amazon to see how much of a premium I had paid - and I found it listed, new, for less than ten euro! Granted, the copy that Books Upstairs sold me was hardback, but still - if the paperback was available, why were they carrying a hardback priced at nearly ten times the price of the new paperback? Couldn't they at least have warned me about this? I went back in the very next morning and asked for a refund. They refused to give me a refund, offering only store credit. This was "store policy". I was surprized at this, since they are an independent bookstore and should surely have the flexibility to offer a refund in a case like this. I returned to the store again later that day to speak to the person who had sold me the book - and got the same answer. The long and the short of it is, I refused the store credit. It was a point of honor. Since I had paid cash, I didn't have the option of ordering a stop payment. So I kept the book and left. I then wrote the owners a letter explaining what had happened. I got no reply. I look at what they did as a kind of theft - they fooled me into paying an inflated price for a book, and then they acted as if they had "caught me" - they would let me have another book, but my money was theirs. Pretty crafty all right!